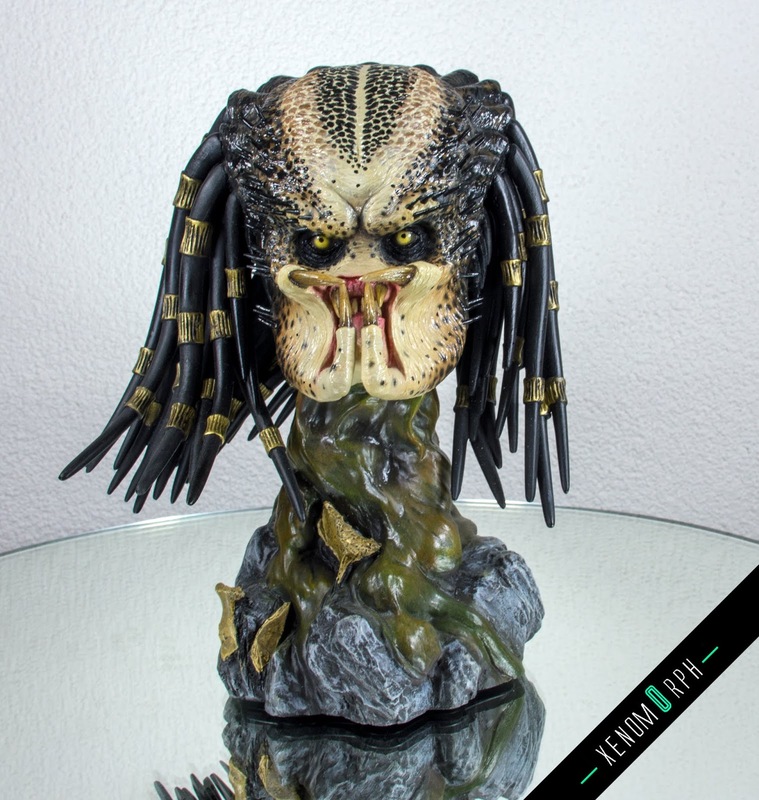 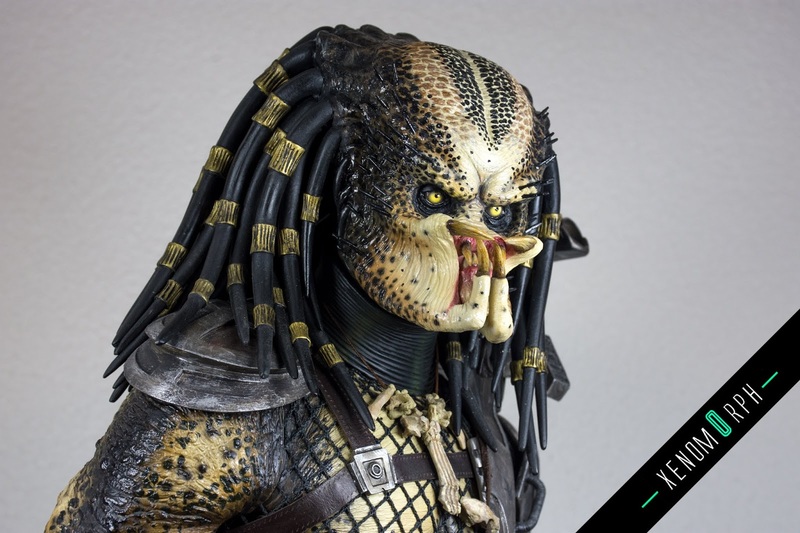 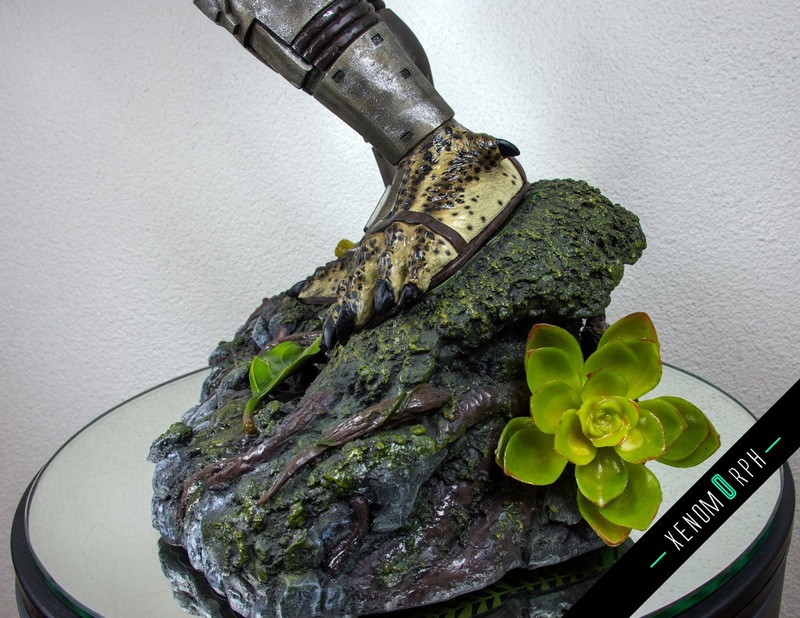 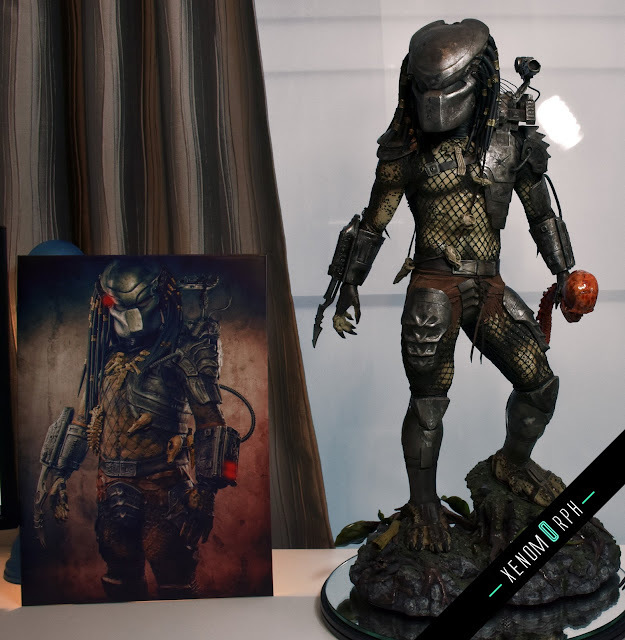 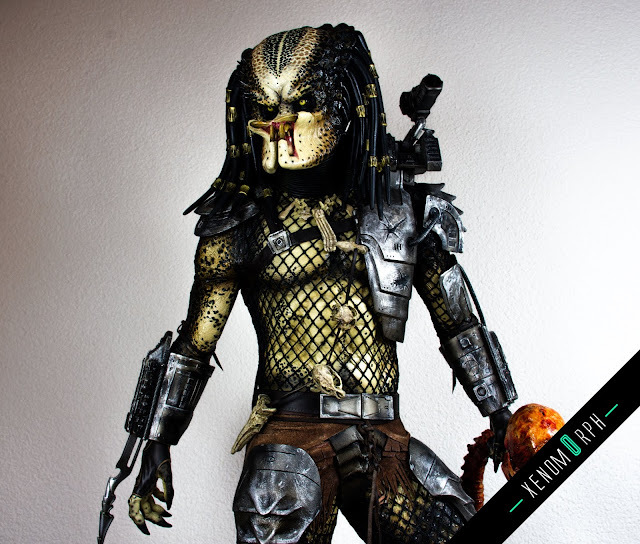 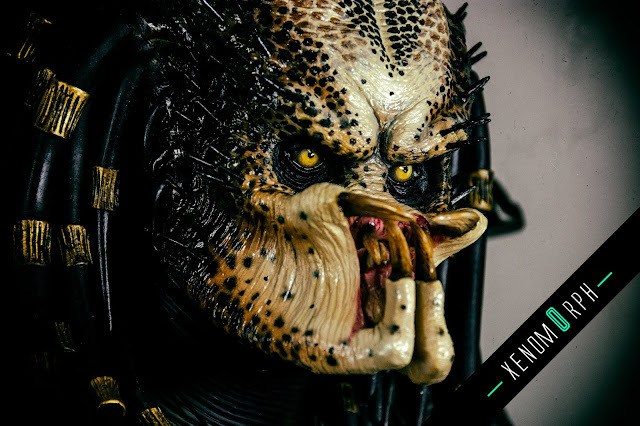 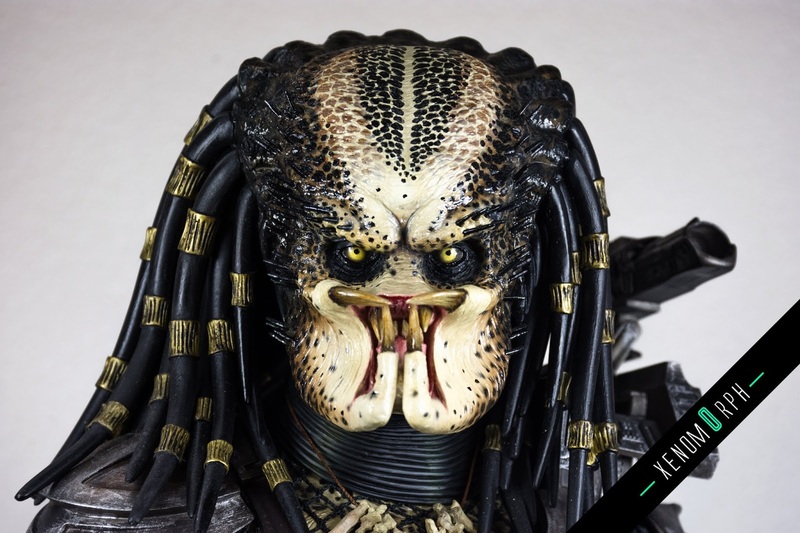 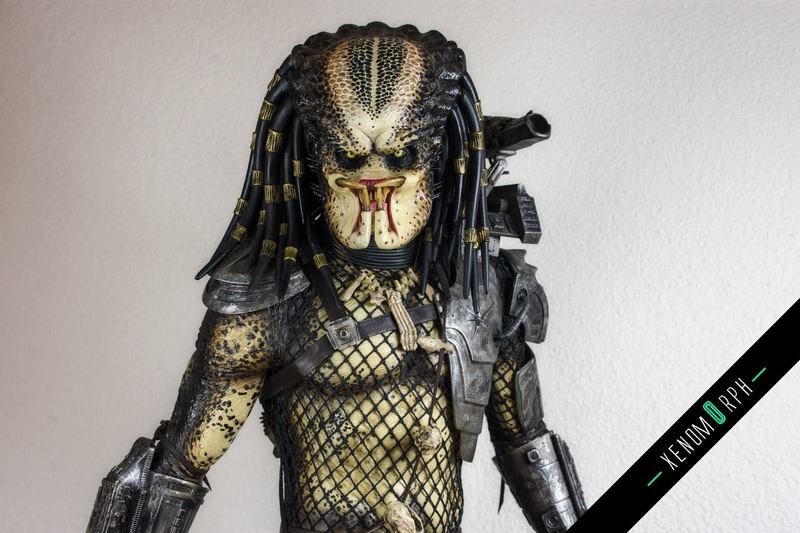 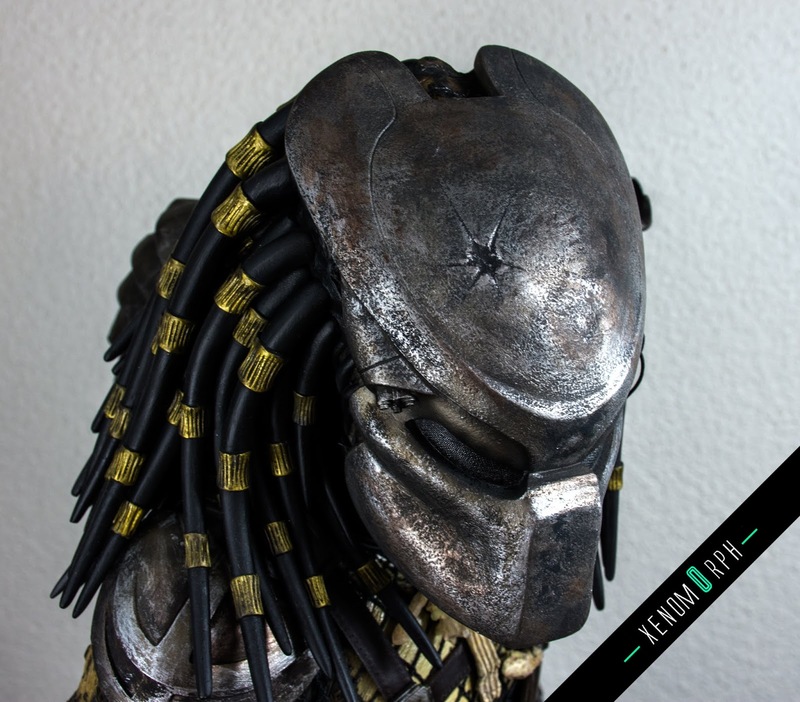 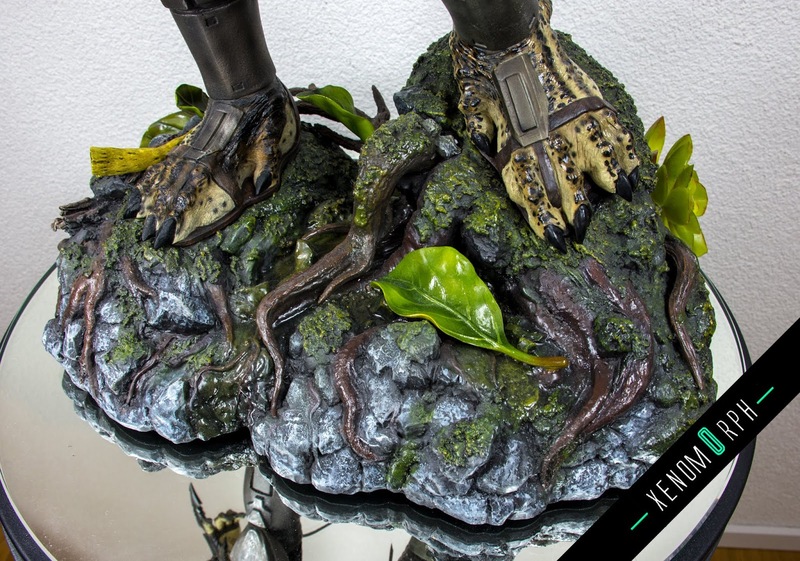 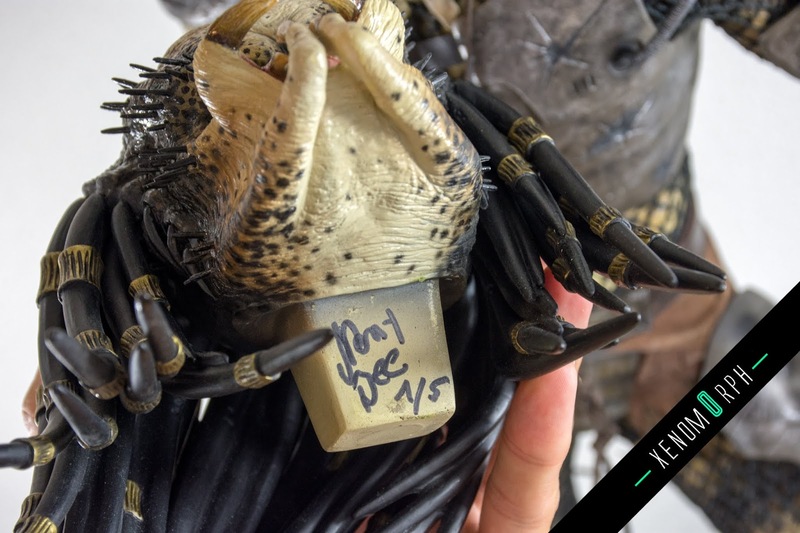 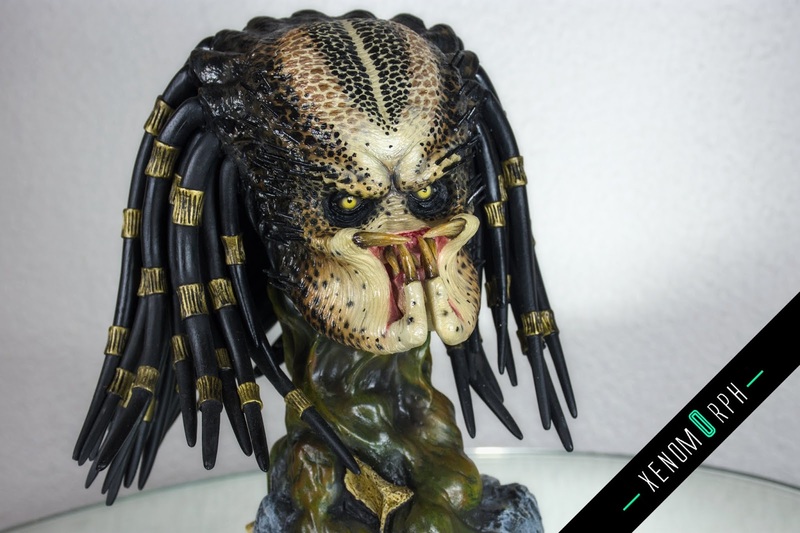 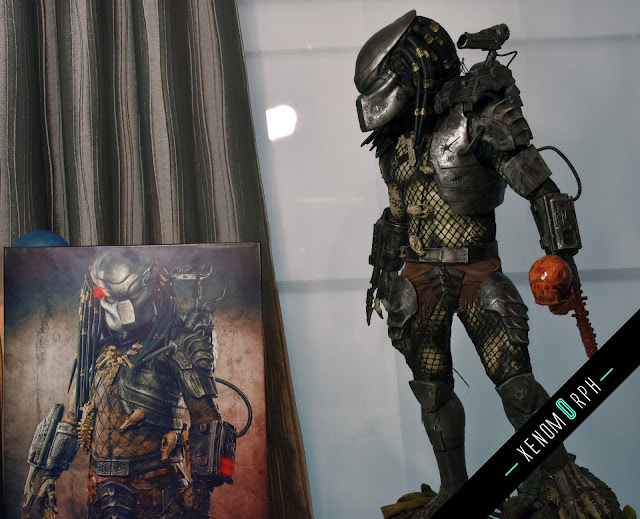 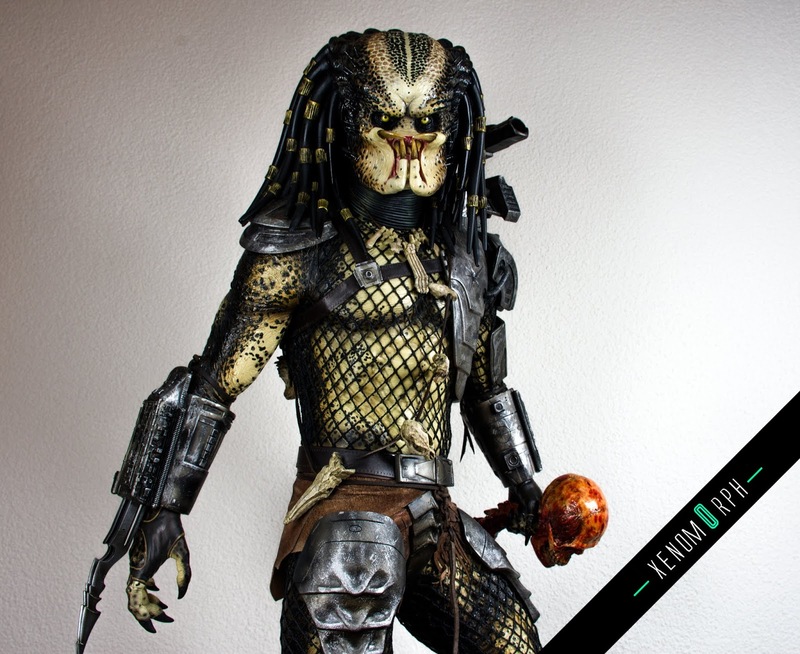 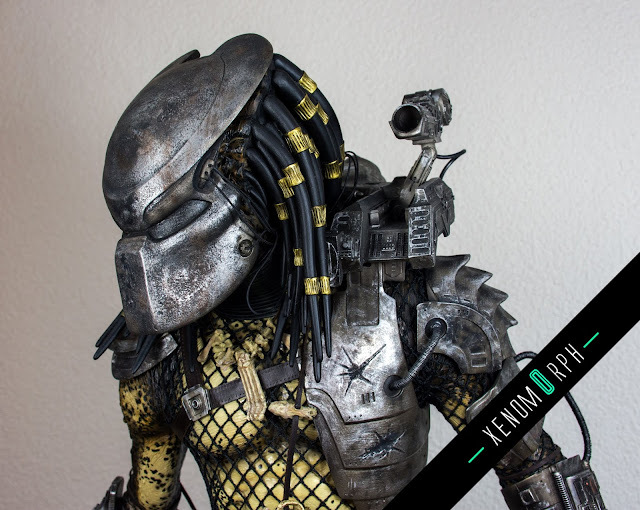 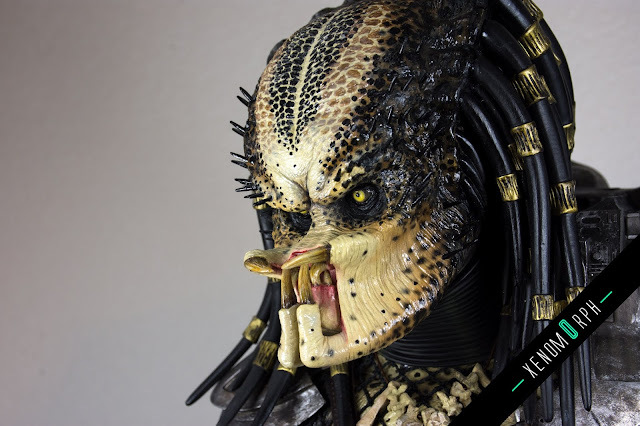 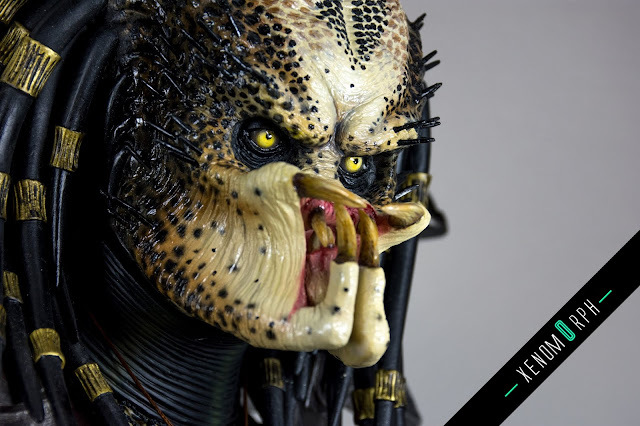 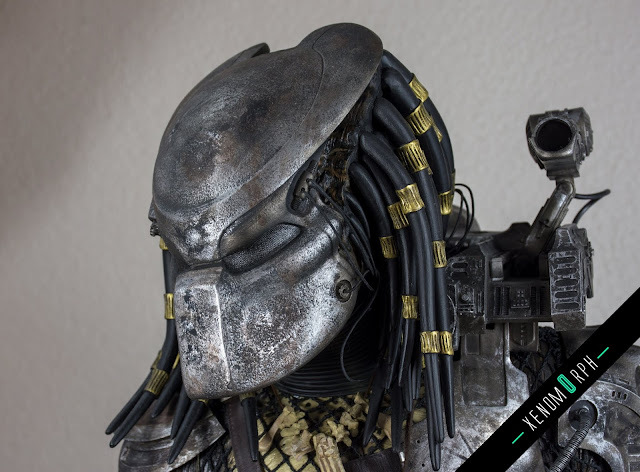 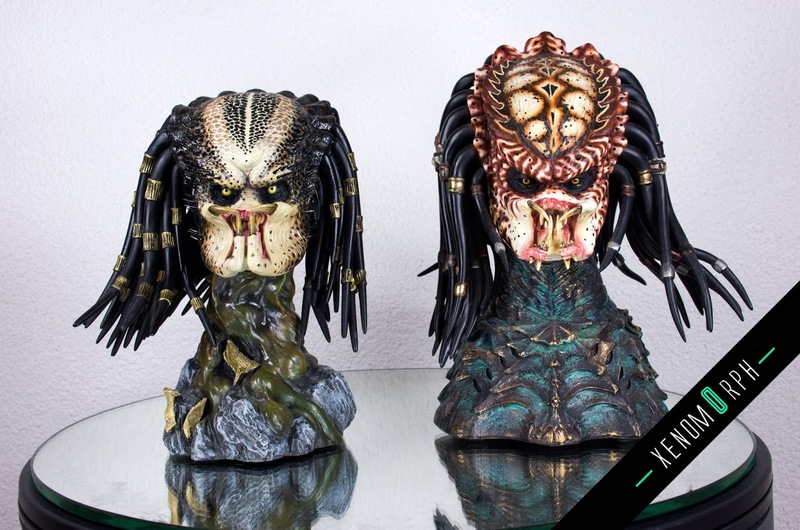 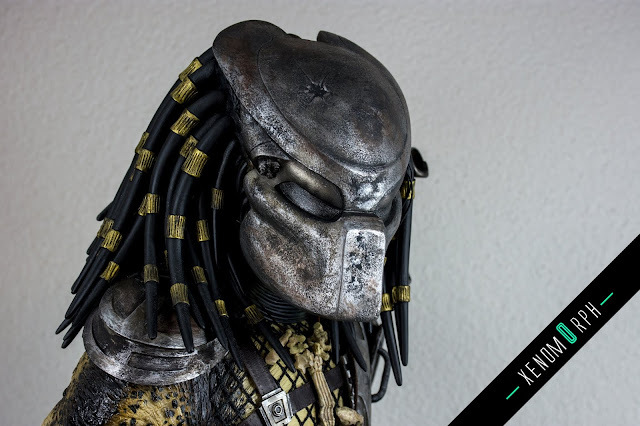 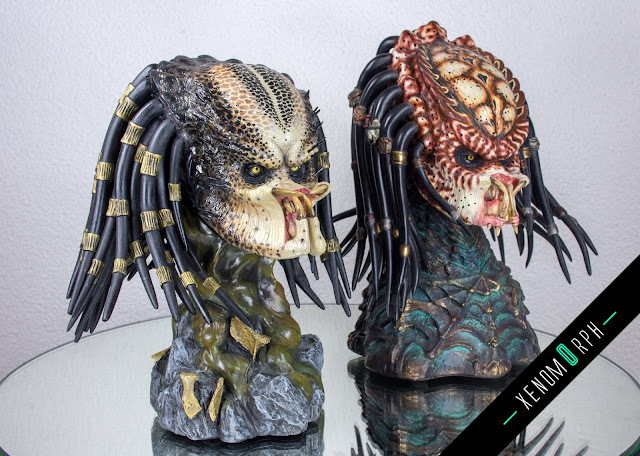 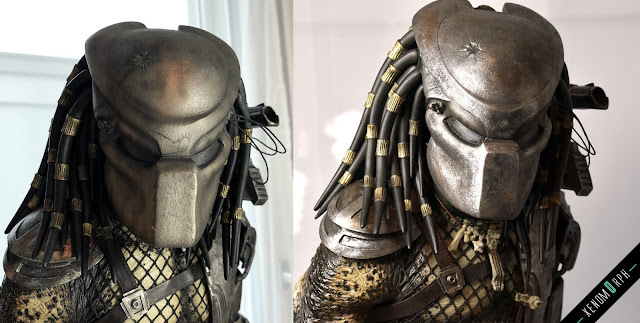 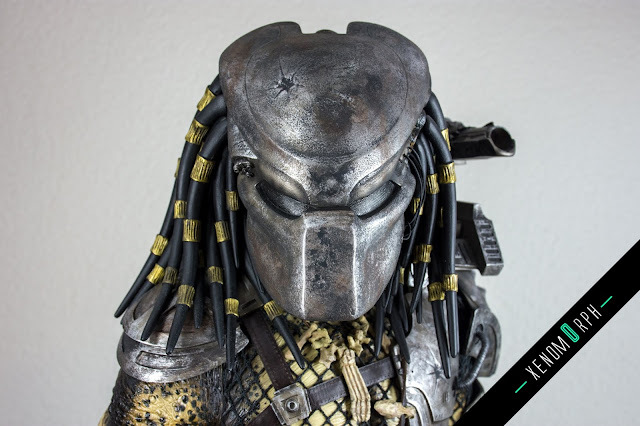 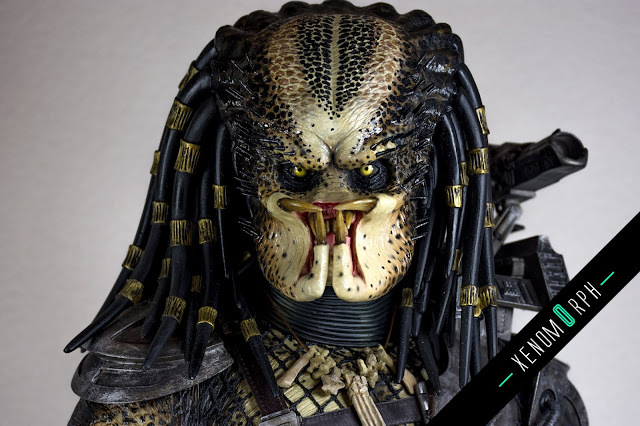 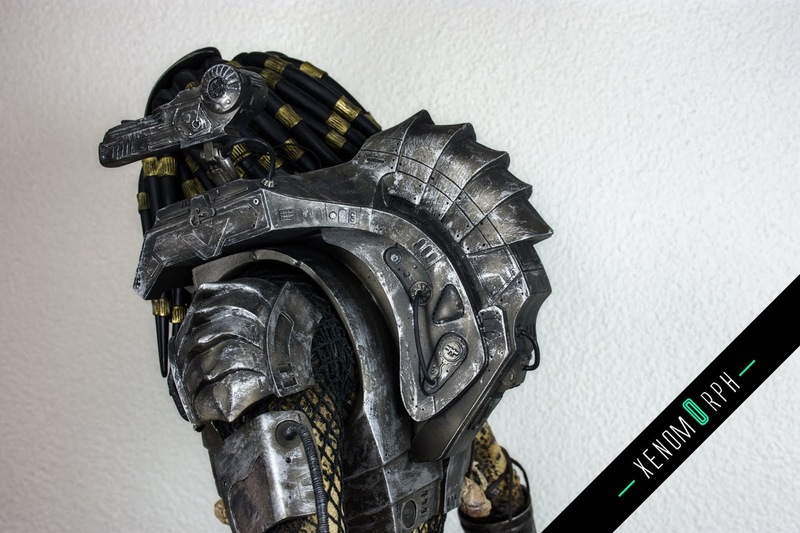 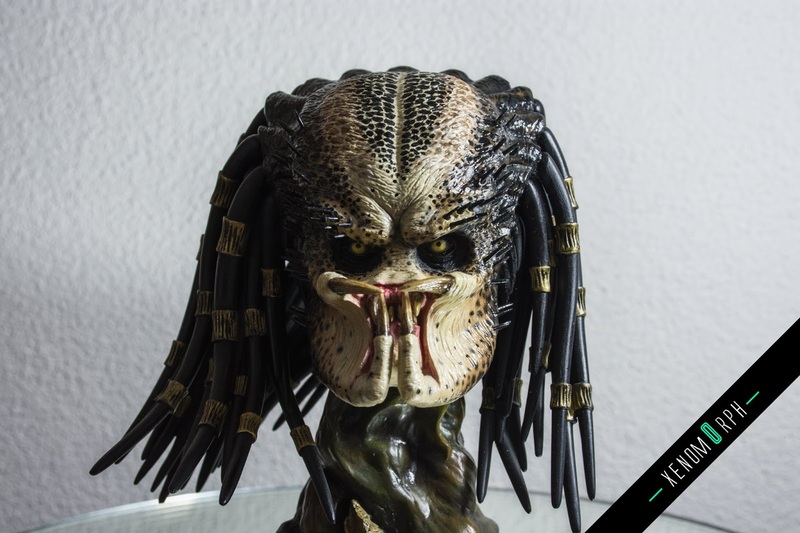 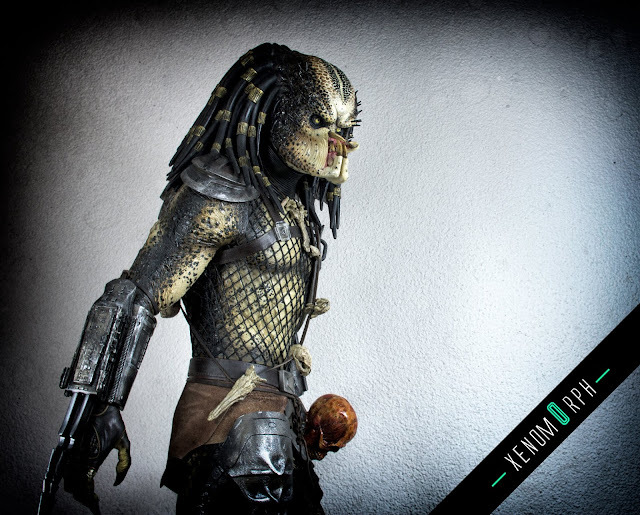 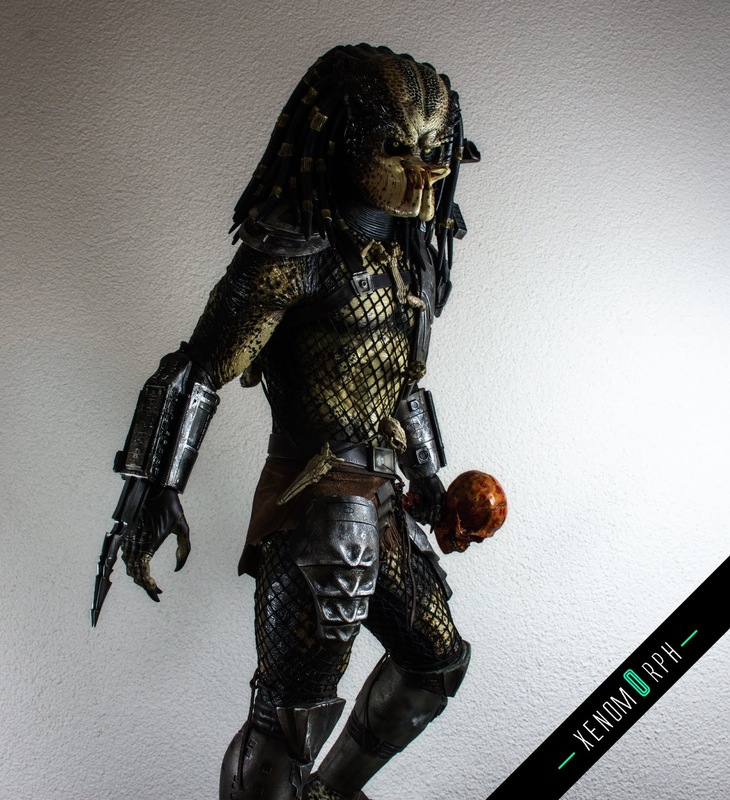 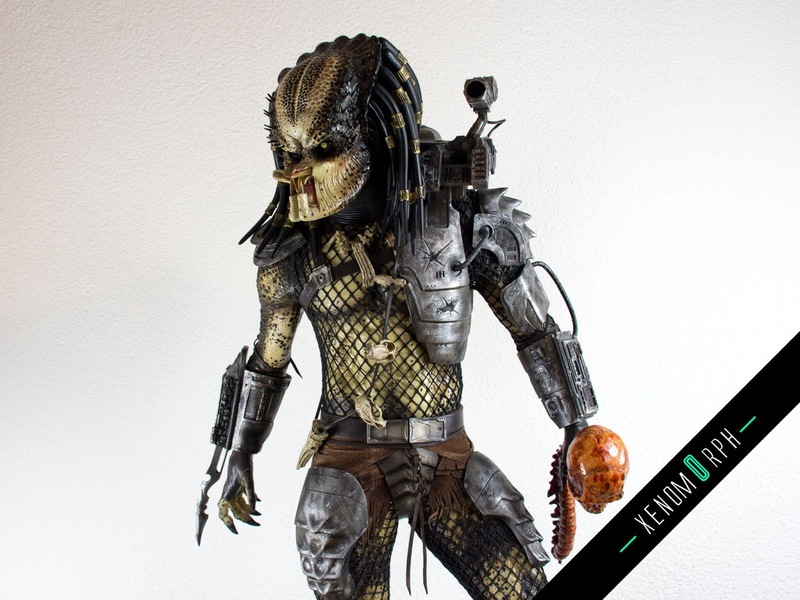 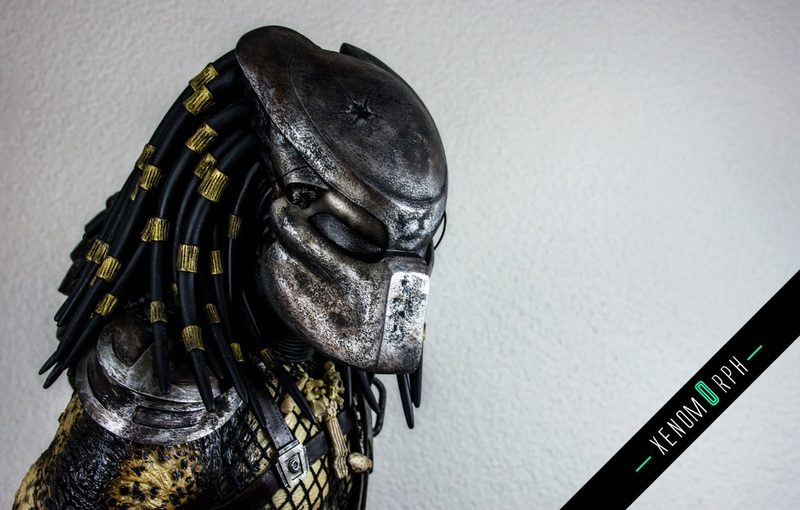 I received the Sideshow Predator 1 Jungle Hunter maquette already some months ago and decided to go give it also a repaint job as I did with my Predator 2 maquette (read about it here). 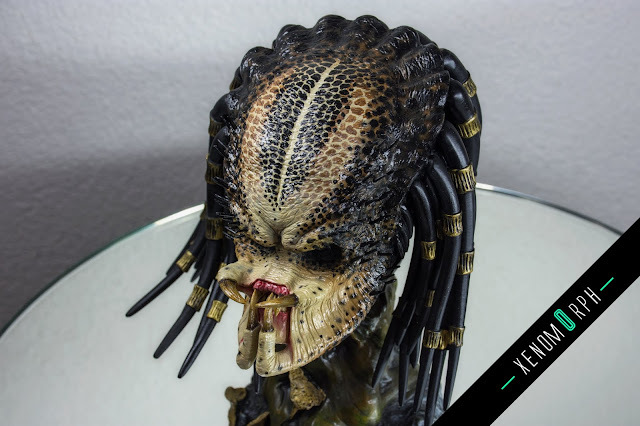 Again I decided to involve my friend, pro-painter & Predator-collector Neny Dee for a repaint of the unmasked headsculpt - it turned out phenomenal. The base and armor I repainted by myself with acrylic paint - lot's of drybrushing and for the base I went for a wet & moody look by introducing clear acrylic paint on misc. 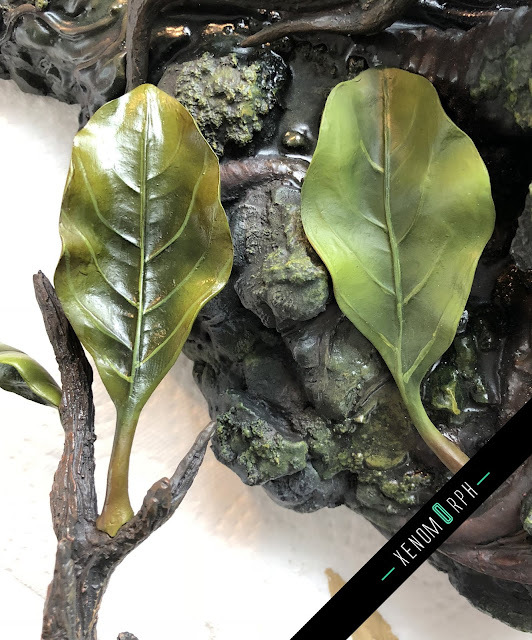 parts (leaves, the little creak in the center). 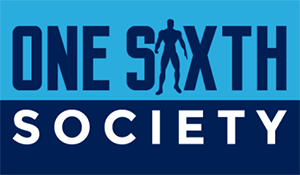 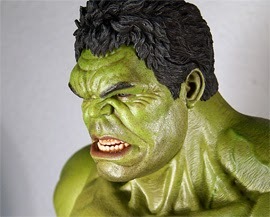 The stock version of Sideshow is still available on their website. 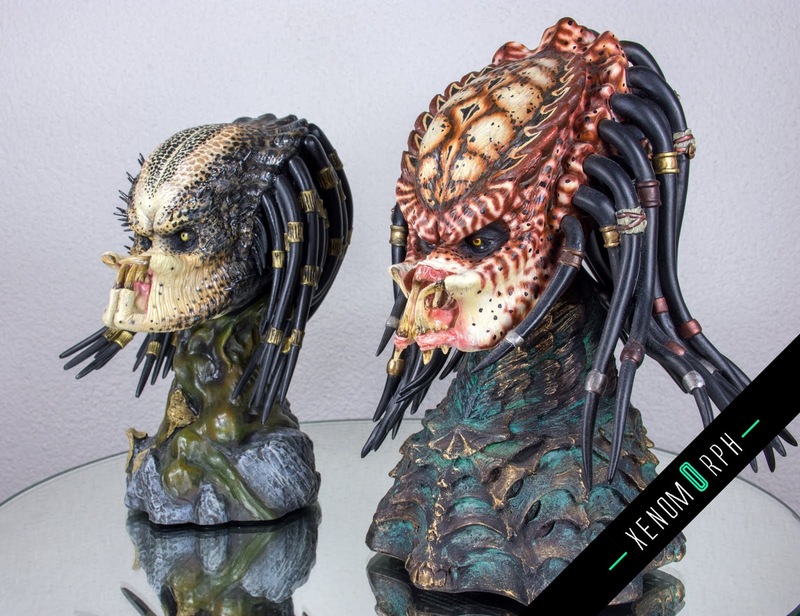 I can heavily recommend it, the sculpt is great and if you're OK with the factory paint you'll definitely like it as well in the normal state.